We often discuss the six grand challenges of marketing to engineers. Challenge #2 is “Prove Your Expertise” – more specifically, our challenge as marketers and business leaders to distinctly position and message our company, products and services in a way that builds credibility trust, differentiates, and effectively resonates with our buyer personas. Going through the process of positioning and messaging can be a difficult and time-consuming challenge, and is therefore one that's often skipped. However, it's critical to an effective marketing program and successful business. It is for this reason that I continue to speak and write about it, in hopes I can demystify and simplify the process and inspire engineering business leaders to take the time to document this for their company. It’s important to first document your company’s mission, vision and core values. These core elements serve as the foundation for your company's positioning statement. Below are brief definitions and examples to reference in writing yours. Step 1. Mission: A brief written statement of the fundamental purpose of a company or organization that rarely changes through the decades. TREW: We create smart marketing to promote the innovations of our world’s technical leaders. Step 2. Vision: Your long-term dream that states what your company wants to be, serves as a source of inspiration, and is sometimes time-based and updated every 10-15 years. Toyota: To sustain profitable growth by providing the best customer experience and dealer support. Google: To create the perfect search engine. BMW: To become the most successful premium manufacturer in the car industry. Step 3. Core Values: The fundamental beliefs and expected behaviors of your company. The next 6 steps are to develop your positioning statement, which is a tool to create internal alignment. Often, teams skip this step and dive right into creating messaging statements and value propositions. Don’t be that team – take the time to document, debate and agree on your company or product position before you get to messaging. The first two parts of your positioning statement are “Who” and “Where”. These two steps are very quick and easy if you already have your buyer personas defined. Step 4. Who: Your potential customer’s job title, function, decision-making authority, etc. Step 5. Where: The industry(ies), region(s), department(s), division(s), etc. of the types of companies where your potential customers work. 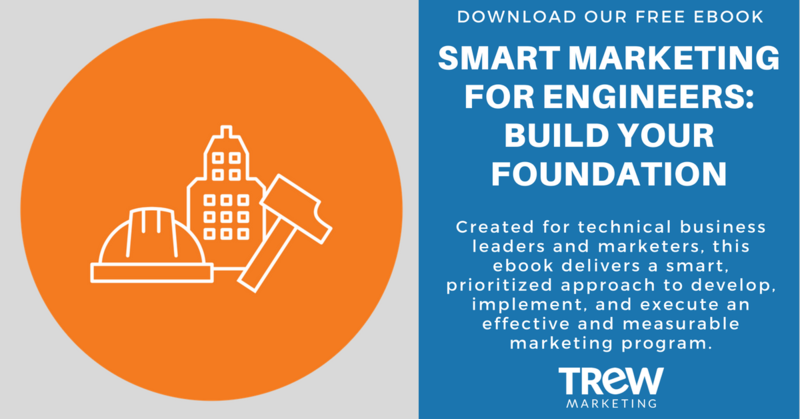 In the book, Smart Marketing for Engineers, the first chapter "Say No to Grow" focuses on brand positioning and messaging and includes examples from both product and services companies. The next two parts of your positioning statement are “Why” and “What”, which focus on your customer’s pain points or application challenges and what you offer to solve it. Step 6. Why: Your customer’s technical challenges or pain points. Step 7. What: Your solutions, including products, services or overall solutions. The last two parts of your positioning statement are “How” and “Unlike”, where you get into more detail about your unique approach or offerings and how they are superior to competitors or alternatives. Step 8. How: The way you solve your customer’s problem, such as processes, tools, service, unique expertise, and best practices. Our expertise tackling the demanding precision of aerospace test carries through to our work in manufacturing applications, creating test equipment that is modular, high-performance, low-power and delivered quickly. We created an end-to-end software platform with streamlined workflow, the ability to comply with any standards, and strong data provenance. Step 9. Unlike: The drawbacks of alternative approaches such as competitors, using in-house resources, or delaying resolution. While some words, phrases or even whole sentences from other parts of the positioning statement may end up being used publicly, the “Unlike” section is only meant for internal use. With your core foundational pieces defined - mission, vision and core values, and the six elements of the positioning statement created, you are now ready for the final step in the positioning process: defining your tone, or company personality. 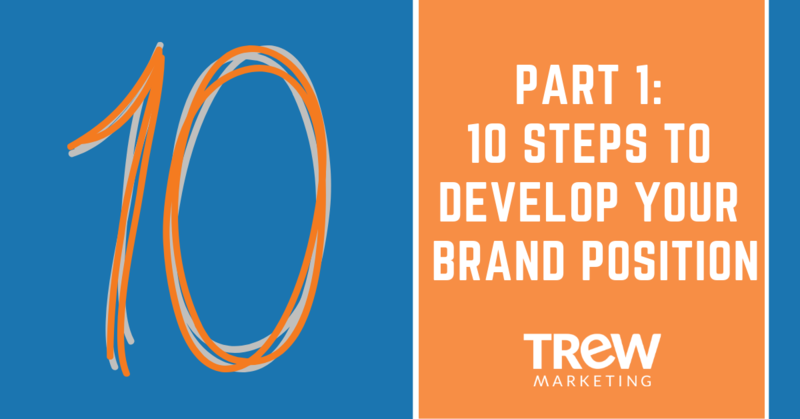 The last step in developing your brand position is to define your brand tone. Your tone captures the personality you want your company to have, and the language you want to use to relate to your customers. Do you want to be like IBM – professional, experienced and serious? Or more like Apple – simple, informal, and high quality. Once you establish your tone of voice, you need to stick with it. Be true to who you are in all you do – online, in your sales presentations, in your trade show booths. If your company was a car, what manufacturer would it be? Why? What 2-3 brand name companies have a tone you want your company to emulate? Why? Considering the answers to the above questions – i.e., the car your company would be and the brands your company wants to emulate – review all the words captured in the above question, and select the 3-5 that best capture the brand tone your company wants to have. Now you have the process for creating your brand position. This can be used for product positioning as well. In the next post, you'll learn how to leverage your brand positioning for key messaging that can be used in both marketing and sales.